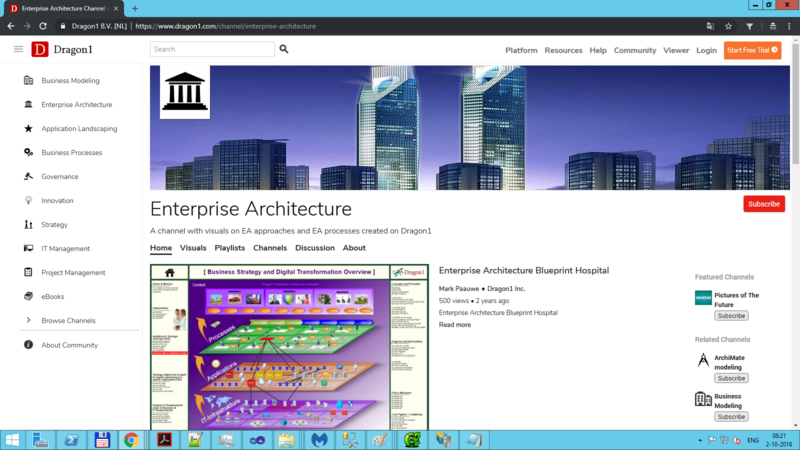 You may have seen digital business visualizations created on the Dragon1 Platform or you may have heard about the Dragon1 open Enterprise Architecture method and now you want to know what exactly Dragon1 is. If you cannot wait any longer, buy your user license here and start creating interactive business visuals. Or else read more on this page about Dragon1. A digital modeling, presentation, diagramming and collaboration software platform for Business Professionals, Consultants and Students. With models, diagrams, sketches, maps, visualizations and presentations created or uploaded here, you can reduce costs, mitigate risk and increase productivity of your company. And you can promote yourself as Business Professional online with your ePortfolio. Turn your company into a DIGITAL ENTERPRISE. You can innovate your company and manage projects successfully with the holistic and integral business visualizations you create here. All your big data is reusable and stored in 1 database (single source of truth). Visualize your goals and KPIs. Use it as a solution and method in many fields like Decision Management, Enterprise Architecture, Project Management, Risk Management, Governance, Compliance, IT Portfolio Management, Business Process Analysis and Scenario Modeling. 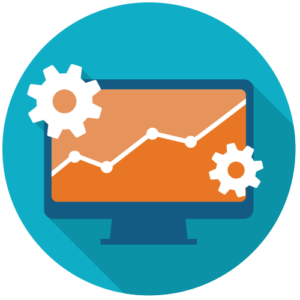 You can use the following tools on the platform: EA, BPM, PM, GRC, BPA, ITPM, Scenario Modeling (using languages and frameworks such as UML, BPMN, ArchiMate, TOGAF). The knowledge-intensive visual content that you publish in the community on the watch pages, you can spread digitally and internally in your organization or share it externally online with the world or in your network. Dragon1 is named Strong Performer in the Forrester Wave EAMS 2017 and is mentioned as a niche, specialist, low-cost cloud-based ea tool in the Gartner Magic Quadrant for Enterprise Architecture Tools 2018. Dragon1 is offered to you in three editions. 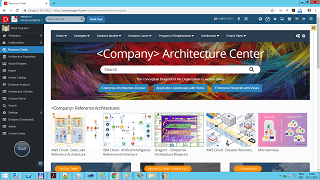 A suite of specialized tools: EA Tool, BPM Tool, PM Tool with a Repository Tool (and using languages such as UML, BPMN, ArchiMate, TOGAF) for Independant Architects or IT Contractors. 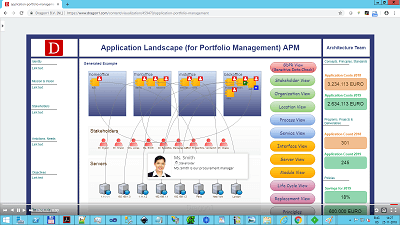 Dragon1 PRO + An Expert GRC Tool, ITPM Tool, BPA Tool and Scenario Modeling Tool for Architects and Managers in organizations. Networking features (User Profile, Blog, ePortfolio) for Business Professionals which can assist you in finding new assignments or even a new job. Dragon1 is an Innovation Lab for Business Professionals, Consultants and Students, that helps you innovate your organization and manage your projects successfully. Dragon1 makes it easy to try out different versions of a solution, design or prototype, as individual or in teams. 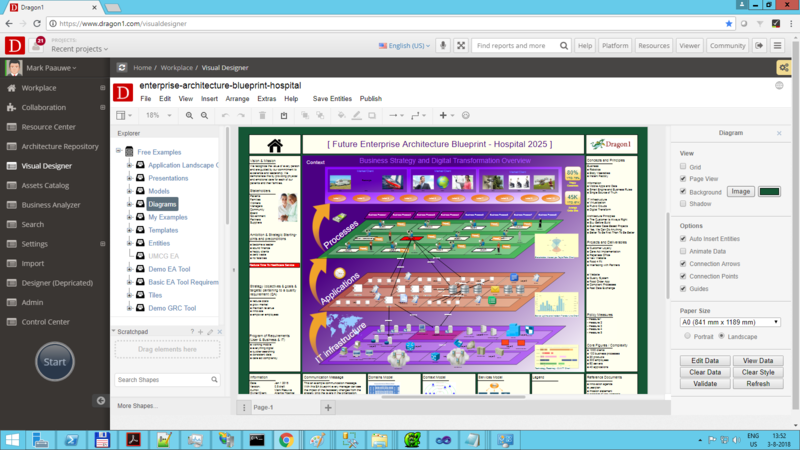 Dragon1 as online software is constructed as an Enterprise Collaboration Platform. Dragon1 in this way sheds a new light on Enterprise Software. The software is online SaaS software and is accessed via this website. Common Projects done in collaboration here are Business Modeling, Strategy Development, Business Architecture, Technical / IT Architecture, Information Architecture, Innovation, Business Process Modeling, Application Management, Concept Design and IT Portfolio Management, Cost Optimization. Dragon1 is a set of web applications. We show you here the most important ones. 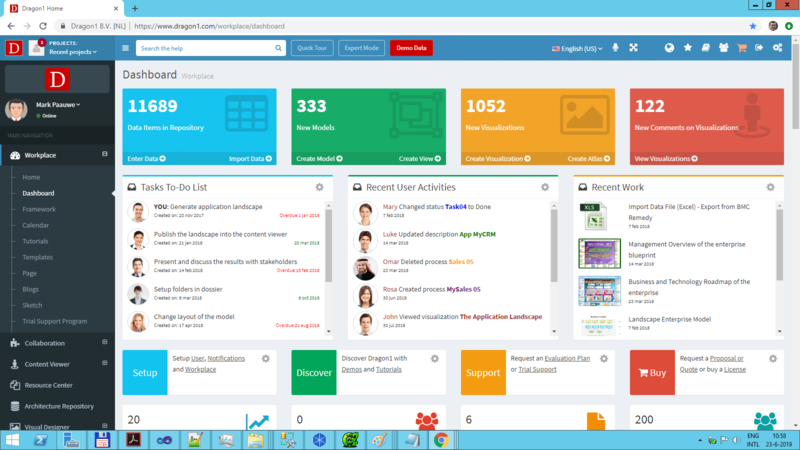 The Digital Workplace web application provides you with modules like document creation, messaging, creating content links, application links, client contacts, projects and tasks. Everything for your basic office tasks. 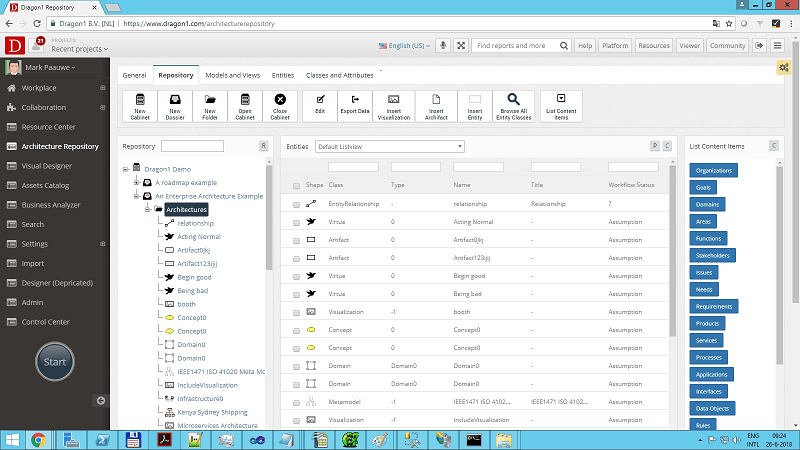 The Architecture Repository is the web application to fill and manage your data in a database/repository. The benefits of that are the quality of the data you use in your model with increase significantly because the data is managed (source, status, ownership and validation). The Visual Designer is the web application to model, design and visualize models, view and visualization, (re)using the data you stored in the repository. You can publish your work (ePortfolio) in your own user profile or on the homepage in the corresponding channels. By showing what knowledge you have and which products you have created in previous jobs, it can assist you in finding a new job or assignment. Dragon1 is now also used in China. 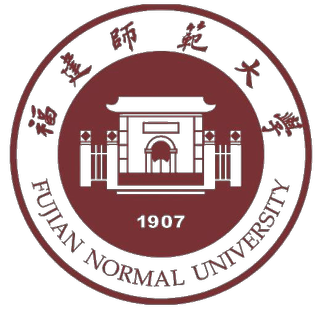 We are grateful to see we have the trust of Fujian Normal University to use Dragon1 at the Systems Engineering faculty. The students are using a unique software development method, created by professor Tzeng, for their software project. 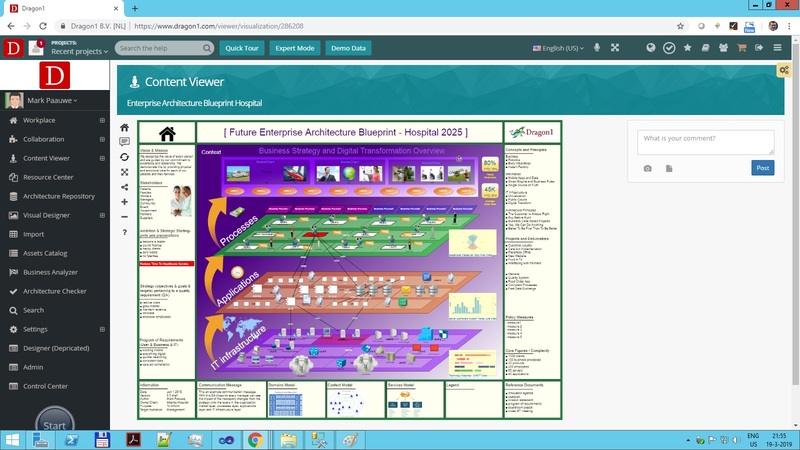 On Dragon 1 they create enterprise architecture diagrams, so the software they design and build will support the work and processes in the organization optimally. And the software will integrate with other applications optimally. Not only the software is used, but also the method. The Dragon1 open EA Method is a complete method with a way of working, a way of thinking, a way of representing and a way of supporting. It holds a revolutionary vision of what is architecture, what are principles and how to use enterprise architecture as a bridge between strategy and transformation. Using the Dragon1 open EA method correctly will lead to control and managing the progress and risk of a complex transformation program successfully. This is a unique opportunity for students in China to learn. They are the first to hear about Dragon1. If you want more information about this customer case you can contact us anytime via phone or email.